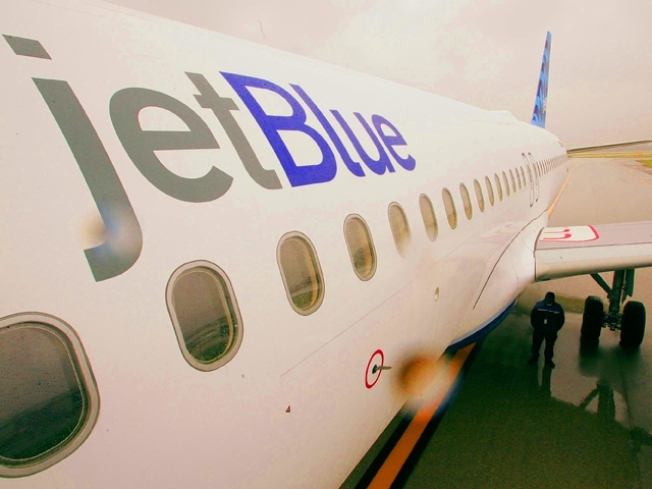 JetBlue tries to entice travelers back to the skies with a refund offer if you lose your job. A JetBlue flight attendant on Monday activated an emergency chute, slid down, ran to the terminal, took a shuttle bus to his car in long-term parking and drove home, the Wall Street Journal reported. The flight attendant apparently had a heated exchange with a passenger who was trying to remove his bag from an overhead compartment before it was deemed safe to do so. The crew member was later picked up at his home and brought to the Port Authority police station for questioning, the Journal said. JetBlue confirmed the slide's evacuation in a press release, saying, "At this time, we are working with the FAA and the Port Authority of New York and New Jersey to investigate the incident." The carrier said there were no injuries, and all passengers deplaned safely. "At no time was the security or safety of our customers or crewmembers at risk," it added.